Add some Batman flair to your nicest suit! 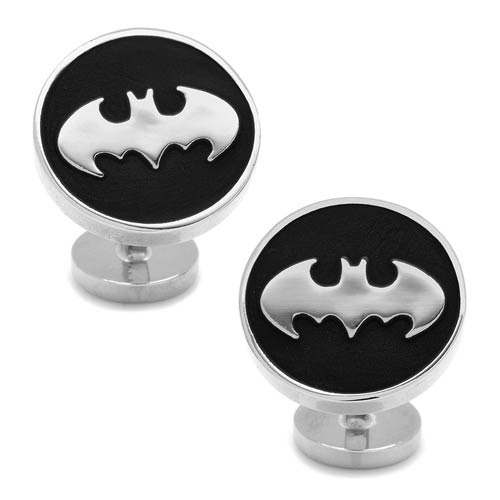 These Batman Recessed Black Cufflinks measure 3/4-inches in diameter and feature the Batman logo in silver, surrounded by black. Officially licensed by DC Comics. Ages 12 and up.